"in tracing the progress of one Sussex football club over 100 years Mick Hatchard has successfully combined local and sporting history"
I N THIS SPLENDID illustrated account, Mick Hatchard reveals the long and eventful history of Pulborough Football Club, a village team from West Sussex – known as ‘The Robins’ due to their red shirts – which was formed in 1898 and continues to this day. 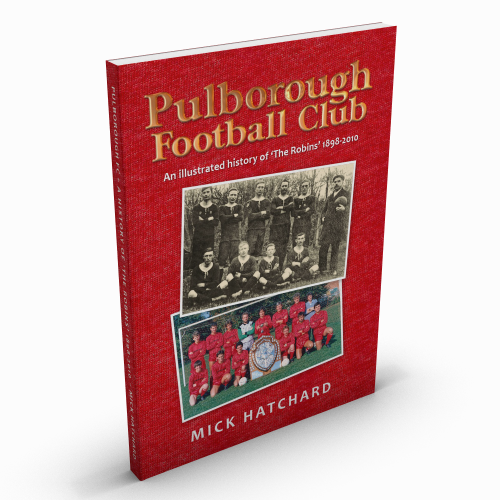 Mick spent many hours trawling the archives of the club, local newspapers and other sources to uncover the story of Pulborough FC, their changes in fortune over the years, their triumphs and disasters and the colourful personalities among their players, officials, members and supporters. A true village side, the club’s players have been mostly locally born, raised, schooled and working in the village or nearby. Those involved with the club over the years have been drawn from all walks of life and a wide variety of occupations, brought together by their shared passion for the game of football and the comradeship of belonging to what has always been a genuinely local team. 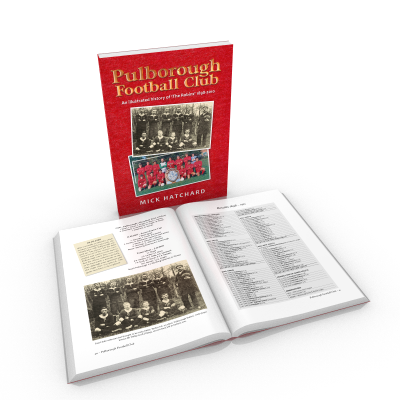 Pulborough FC’s opponents over the years have been similar clubs from neighbouring villages and towns, many of which also have histories stretching back to the 19th Century. 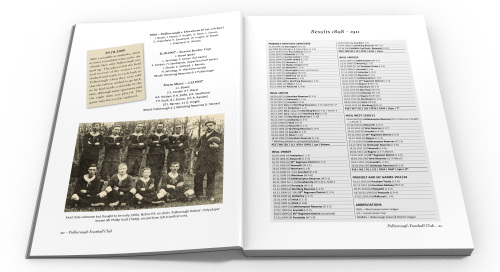 These long-standing local rivalries make for hotly contested league and cup games, to which the match reports included in this book bear witness. 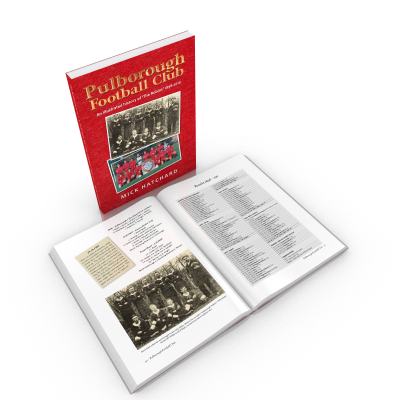 The book also contains detailed information about many of the club’s former players, managers, presidents and chairmen, along with results of league and cup games spanning more than a century, and is illustrated throughout with historic photographs. The end result is a fascinating piece of local history, not just of The Robins but of the community of Pulborough itself, its inhabitants and the many changes that have taken place over the last 100+ years. 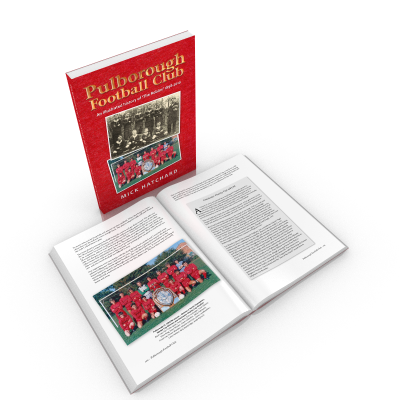 MICK HATCHARD has had a long association with Pulborough FC, as a player in the 1960s/70s and as manager of both first and second XIs and the youth squad in the 1980s. He held managerial posts at Watersfield, Loxwood and Billingshurst in the 1990s before returning to the Robins to end his managerial career in 1997.